The institutes of Interventional Radiology of Zhengzhou University. ⦁ Li TF, Wu G, Han XW, Shui SF, Ren JZ, Li Z, et al. 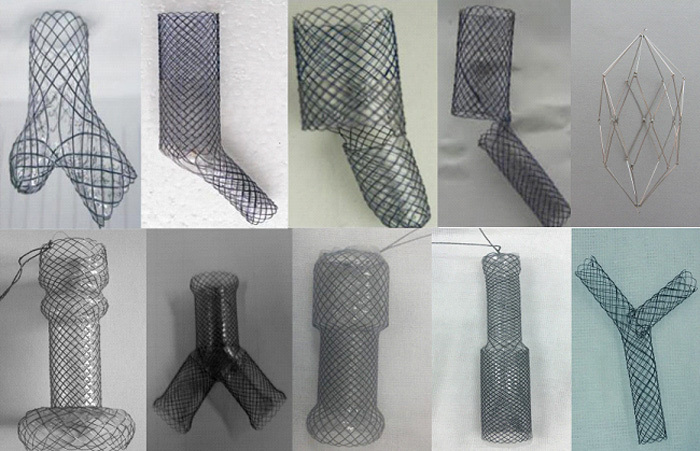 Application of Y-shaped, coated self-expandable metallic stents for anastomotic stenosis after gastrojejunostomy (Billroth II). Acta radiologica (Stockholm, Sweden : 1987). 2016 Feb 27. PubMed PMID: 26924836. ⦁ Li TF, Shui SF, Han XW, Yan L, Ma J, Guo D, et al. The Use of Solitaire AB Stents in Coil Embolization of Wide-Necked Cerebral Aneurysms. PloS one. 2015;10(10):e0139714. PubMed PMID: 26426804. Epub 2015/10/02. eng. ⦁ Li TF, Huang GH, Li Z, Hao CF, Ren JZ, Duan XH, et al. Percutaneous transhepatic cholangiography and intraductal radiofrequency ablation combined with biliary stent placement for malignant biliary obstruction. Journal of vascular and interventional radiology : JVIR. 2015 May;26(5):715-21. PubMed PMID: 25817458. Epub 2015/03/31. eng. ⦁ Li TF, Duan XH, Li Z, Ren JZ, Zhang K, Huang GH, et al. Endovascular embolization for managing anastomotic bleeding after stapled digestive tract anastomosis. Acta radiologica (Stockholm, Sweden : 1987). 2015 Nov;56(11):1368-72. PubMed PMID: 25406432. ⦁ Jiao DC, Han XW, Wu G, Ren JZ. 3D CACT-assisted Radiofrequency Ablation Following Transarterial Chemoembolization for Hepatocellular Carcinoma: Early Experience. Asian Pacific journal of cancer prevention : APJCP. 2015;16(17):7897-903. PubMed PMID: 26625818. ⦁ Zhou P, Ren J, Han X, Wu G, Zhang W, Ding P, et al. Initial imaging analysis of Budd-Chiari syndrome in Henan province of China: most cases have combined inferior vena cava and hepatic veins involvement. PloS one. 2014;9(1):e85135. PubMed PMID: 24416352. Pubmed Central PMCID: 3885682. ⦁ Zhang WG, Liu DM, Li Z, Wang YL, Ding PX, Zhou PL, et al. Endovascular treatment for extrahepatic portal vein bifurcation stenosis after a Whipple procedure using the kissing stents technique. Annals of vascular surgery. 2014 Jan;28(1):264 e13-6. PubMed PMID: 24183598. Epub 2013/11/05. eng. ⦁ Zhang WG, Li Z, Ding PX, Ren JZ, Ma J, Zhou PL, et al. Endovascular treatment of an unusual primary arterioportal fistula complicated by cavernous transformation of the portal vein caused by portal thrombosis. Annals of vascular surgery. 2014 Feb;28(2):491 e5-8. PubMed PMID: 24368181. Epub 2013/12/26. eng. ⦁ Li ZM, Wu G, Han XW, Ren KW, Zhu M. Radiology-guided forceps biopsy and airway stenting in severe airway stenosis. Diagnostic and interventional radiology (Ankara, Turkey). 2014 Jul-Aug;20(4):349-52. PubMed PMID: 24808434. Pubmed Central PMCID: PMC4463270. Epub 2014/05/09. eng. ⦁ Li TF, Ren KW, Han XW, Li WC, Ren JL, Jiao DC, et al. Percutaneous transhepatic cholangiobiopsy to determine the pathological cause of anastomotic stenosis after cholangiojejunostomy for malignant obstructive jaundice. Clinical radiology. 2014 Jan;69(1):13-7. PubMed PMID: 24156795. Epub 2013/10/26. eng. ⦁ Li TF, Li Z, Han XW, Ren JZ, Jiao C, Bi YH, et al. Combined T/Y biliary stent placement for the treatment of biliary obstruction caused by Bismuth-Corlett type IV hilar cholangiocarcinoma. Hepato-gastroenterology. 2014 Sep;61(134):1519-22. PubMed PMID: 25436335. Epub 2014/12/02. eng. ⦁ Li TF, Chen C, Han XW, Zhen L, Jiao DC, Ma J. Clinical efficacy of metallic biliary stents combined with different anti-cancer treatments in the management of bile duct cancer. Hepato-gastroenterology. 2014 Jan-Feb;61(129):22-6. PubMed PMID: 24895787. Epub 2014/06/05. eng. ⦁ Wu G, Li ZM, Han XW, Wang ZG, Lu HB, Zhu M, et al. Right bronchopleural fistula treated with a novel, Y-shaped, single-plugged, covered, metallic airway stent. Acta radiologica (Stockholm, Sweden : 1987). 2013 Mar 18. PubMed PMID: 23507935. ⦁ Wang YL, Ding PX, Li YD, Han XW, Wu G. Comparative study of predilation with stent filter for Budd-Chiari syndrome with old IVC thrombosis: a nonrandomized prospective trial. European journal of radiology. 2012 Jun;81(6):1158-64. PubMed PMID: 21444167. Epub 2011/03/30. eng. ⦁ Jiao DC, Zhou Q, Han XW, Wang YF, Wu G, Ren JZ, et al. Microwave ablation treatment of liver cancer with a 2,450-MHz cooled-shaft antenna: pilot study on safety and efficacy. Asian Pacific journal of cancer prevention : APJCP. 2012;13(2):737-42. PubMed PMID: 22524853. Epub 2012/04/25. eng. ⦁ Wu G, Li YD, Han XW, Zhang W, Han XP, Ding PX. Sheath-assisted tracheal intubation: a further treatment option for patients with acute dyspnea or asphyxia caused by severe stenosis of the larynx or trachea. The Annals of thoracic surgery. 2011 Aug;92(2):710-3. PubMed PMID: 21801924. Epub 2011/08/02. eng. ⦁ Ding PX, Han XW, Wu G, Li YD, Shui SF, Wang YL. Outcome of a retrieval stent filter and 30mm balloon dilator for patients with Budd-Chiari syndrome and chronic inferior vena cava thrombosis: a prospective pilot study. Clinical radiology. 2010 Aug;65(8):629-35. PubMed PMID: 20599065. Epub 2010/07/06. eng. ⦁ Bi Y, Han X, Xu K. Letter by Bi et al Regarding Article, "Segmental Aortic Stiffening Contributes to Experimental Abdominal Aortic Aneurysm Development". Circulation. 2016 Jan 5;133(1):e10. PubMed PMID: 26719392. ⦁ Yan L, Han X. 3-Dimensional Printing Rapid Prototyping for Intracranial Aneurysm Coiling: A Good Example of Precise Medicine. World neurosurgery. 2015 Jun 29. PubMed PMID: 26134980. ⦁ Bi Y, Zhong H, Xu K, Wu G, Han X. Regarding "Elastase inhibitor AZD9668 treatment prevented progression of experimental abdominal aortic aneurysms". Journal of vascular surgery. 2015 Nov;62(5):1386. PubMed PMID: 26506280. ⦁ Bi Y, Zhong H, Xu K, Wu G, Han X. Letter regarding "interference of doxycycline pretreatment in a model of abdominal aortic aneurysms". Cardiovascular pathology : the official journal of the Society for Cardiovascular Pathology. 2015 Jul-Aug;24(4):260-1. PubMed PMID: 25769642. ⦁ Bi Y, Xu K, Han X. A rat model of aortic arch aneurysm with excellent survival. Asian cardiovascular & thoracic annals. 2015 Jul 23. PubMed PMID: 26209601. ⦁ Bi Y, Han X, Zhou P, Zhang W. Thoracic Endovascular Aortic Repair with the Left Subclavian Artery Coverage: Why Not Save the Left Subclavian Artery? Journal of the American College of Surgeons. 2015 Sep;221(3):780. PubMed PMID: 26296685. ⦁ Bi Y, Han X, Zhong H, Xu K, Ni Y. Comment on "Endovascular Aneurysm Sealing for the Treatment of Ruptured Abdominal Aortic Aneurysms". Journal of endovascular therapy : an official journal of the International Society of Endovascular Specialists. 2015 Sep 1. PubMed PMID: 26329617. ⦁ Bi Y, Han X, Zhong H, Xu K. Correspondence on: "Therapeutic Prospect of Adipose-Derived Stromal Cells for Treatment of Abdominal Aortic Aneurysm". Stem cells and development. 2015 Aug 1;24(15):1831-2. PubMed PMID: 25945966. ⦁ Bi Y, Han X, Xu K, Zhong H. Re: "Endovascular Aneurysm Sealing for Infrarenal Abdominal Aortic Aneurysms: 30 Day Outcomes of 105 Patients in a Single Centre". European journal of vascular and endovascular surgery : the official journal of the European Society for Vascular Surgery. 2015 Oct;50(4):542. PubMed PMID: 26211684. ⦁ 6. Zhou P, Han X, Zhang W, Bi Y. Re: 'Endovascular Treatment of Ruptured Abdominal Aortic Aneurysms with Hostile Aortic Neck Anatomy'. European journal of vascular and endovascular surgery : the official journal of the European Society for Vascular Surgery. 2015 Oct;50(4):541. PubMed PMID: 26189606. ⦁ Xinwei Han, Ke Xu, Maoheng Zhu, Linshun Li. Budd-Chiari syndrome interventional therapy and research advancement. 2010. 2015, the National 863 Plan of China (Grant No.2015AA020301) in 2015. Tai Kang; Chengfei Hua; Yahua Li; Hao Liang; Wenzhe Zhang; Junwei Yin. 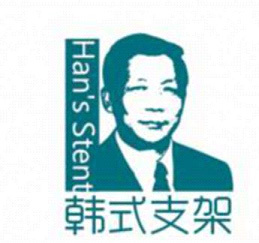 Professor Han has invented a series of stents for airway diseases, has built a brand “Han’s Stent”. He has developed approximately 40 patents and over 10 interventional techniques to fill the gap in the clinical medical devices, most of interventional equipments fill the gap both at home and abroad. Professor Han has developed 7 workshops on airway diseases starting 2012, and has trained interventional physicians from various departments, including interventional radiology, respiratory, chest surgery, oncology, and ICU, across 28 provinces in China.